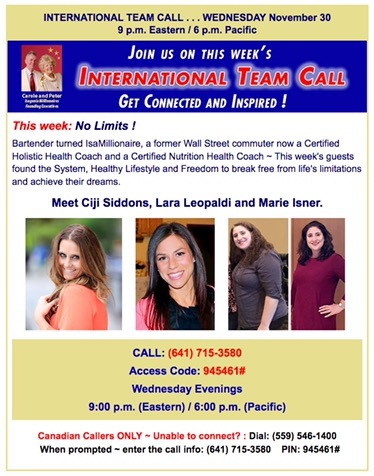 This Wednesday I am honored to be featured on our international team call telling my story of how I got healthy and lost 37lbs! Plus hear what I told when my husband when he lost his job back in March. It could have been a very scary moment, but instead it was validating for me. On October 31st I passed my citizenship test and am waiting for the swearing in letter to arrive. I must admit that I am very excited about becoming a citizen and I am really looking forward to the ceremony. I missed voting in this election because I started the process a little late in the year and I have to blame myself for that. I dragged my feet getting the process started because I was still grappling with the idea of becoming a citizen of a country I wasn’t born in and all the guilt I felt about seemingly abandoning my Israeli identity for a new one. I realize now that it doesn’t have to be that way. I will always be an Israeli because I was born there and that’s never going to change, but I also feel such a deep connection to this country. I am raising a family here, I have created a life for myself and my family here and this country is what I call home now. I am very much involved in the political conversation and the reason i decided to become a citizen was so I can vote in the election because I believe that since I intend to live the rest of my life here I am required to exercise the right to vote and make my voice heard. I have very strong opinions about the path this country should take and what kind of country I would want my children to live it, so even though I wasn’t going to have the opportunity to vote, I was still very much involved in the conversation and was invested in the outcome. The past couple of days have been very emotional. I won’t lie to you, I felt like I was sucker punched. I was supposed to become a citizen in a time when love was going to win over hate and acceptance was going to win over bigotry, yet somehow the world turned upside down and certainty turned into doubt. This was how I felt for most of the past two days. How could people be so stupid? How could we have been so wrong and how did we let them win? I felt so much hate and disdain and then I reminded myself that this is not what I stand for. I stand for love and acceptance. I stand for possibility and opportunity. I stand for each and every one on this planet having their own opinion, I may not agree with it but I will respect the person and their right to their opinion. One can’t be against hate when things are going their way and once they don’t, become a hate spewing machine, that’s hypocritical. I can only bring about change when I become the change myself especially when hate and negativity have such low vibration in the universe. I could sit back, play the victim and complain or actually be a cute in the matter and take action. We don’t live in a bubble where everybody thinks the way we do, there are many different people with many different opinions and our opinions are not more valuable than theirs. We must learn to communicate in a way that promotes a healthy discussion rather than divisive rhetoric. Many people dream of becoming a citizen of this great nation and I believe that we have a responsibility to be active and willing participants so that we live in a country we can be proud of and also be critical of it when we feel that it is veering of the path. We have a duty and a responsibility to future generation to hand over a country that sets them up for success where its people are able to continue a dialog of peace and acceptance. Being sworn in and singing the Star Spangled Banner will be one of the proudest moments of my life and I will not take the responsibility of citizenship lightly. Bless you all and bless these United States! What a way to finish up this challenge, taking my final photos on election day as emotions and anxieties were running high. I didn’t have the best week that I thought I would have as I ended this challenge – in fact I had a challenging week. I succumbed to temptation, laziness, irritability and a roller coaster of emotions (and this was all before Election Day!). What can I say? I get super moody when I have PMS and the last two months have been especially hard. Maybe it’s because I haven’t been sleeping as well. Maybe it’s because my will power has faded. Maybe it’s because I’ve reached a new level and I’m self-sabotaging. Honestly, it could be all of these things or none of these things. Some weeks you just gotta keep swimming and hope it all comes together. It’s also really easy when things don’t go our way to give up on ourselves. After the late night with the election results, believe me, I didn’t want to go to the gym this morning. But I knew that if I skipped it because of external factors it would set me back and I would regret it. So I went and I got to work out and get some of the feelings out of my system in a healthy way (read: not through eating a sleeve of cookies). No matter what the final outcome of this challenge was, I knew that the time I spend working on myself was never going to be something I would regret. These 23 weeks were going to pass anyway, at least I made them count by staying the course and being true to myself. I am very proud that I reached a new “lowest weight” since 2010. I am very proud that I kept my word and wrote and blogged as much as I did. I am very moved by all of the people who cheered me on and who took on their own “Light Yourself On Fire” challenges. I haven’t really thought about what the future of this challenge will hold for me just yet, but I do know what my goals are for the rest of the year. Looking forward to 2017 I am excited for my new endeavor, the Parents Passion Project to light the fires under parents to reignite their passions. Learn more here. This begins the final week of my (extended) Light Yourself on Fire Challenge. November 8th I have to submit the final pictures and weight for my challenge as part of the “maintenance” portion. I’m so glad that I extended the challenge, because without that I know I would have slipped back into some bad habits. I took a quiz online that I found (while I was looking for resources about parents and passion) that really gave me some insight about myself, I am an Obliger. Is it easier to spend time or money on someone else instead of on yourself? That’s because you’re an Obliger. In order to change a habit, Obligers need external accountability–that’s the crucial factor for Obligers. You can take the quiz here and find out what tendencies you have. I found this so helpful because it gave me a vocabulary to understand why I need so much EXTERNAL ACCOUNTABLITY all the damn time. It’s like, when no one is watching, I’ll eat a sleeve of Ritz crackers with dairy free chocolate spread, but when someone is watching (i.e. 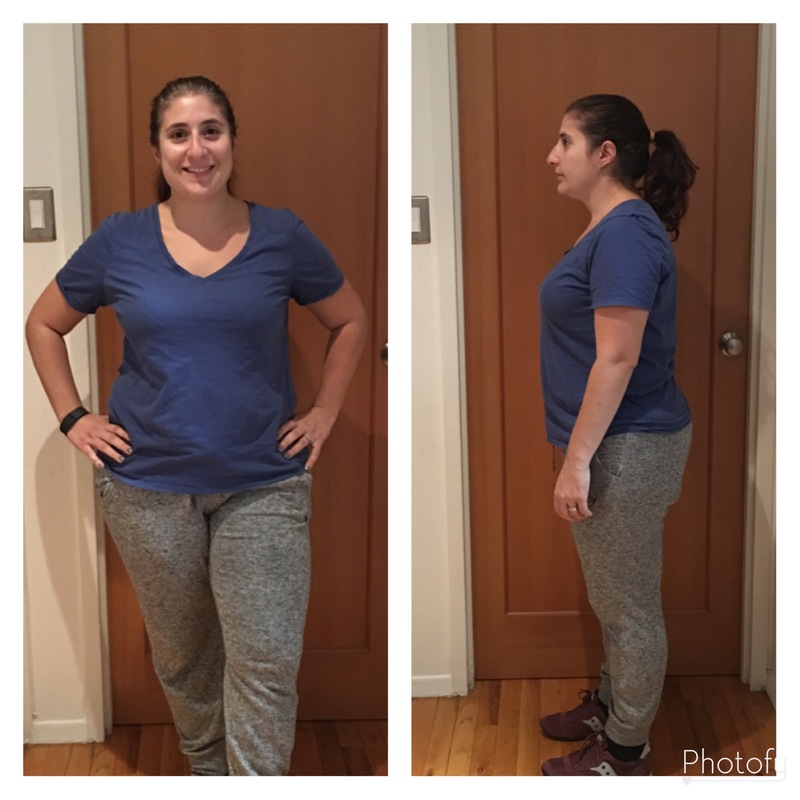 this challenge) I will happily post my weight every week online for all the world to see. I’ve always wondered, what the F is wrong with me? Turns out, it’s just my “tendencies”. Doesn’t that sound better than me being a crazy lady? When all is said and done, this challenge will be 23 weeks of my 2016. That’s nearly half the year. When I look back on it that way, I can appreciate how much I’ve accomplished and how much I committed to (and actually achieved). Just to recognize my achievements and then to high-five myself for it is new behavior for me. Unfortunately I spent a lot of time being so hard on myself over the past 30 years and it doesn’t really serve me anymore. Sure, it would be easy to say, “oh after 22 weeks you SHOULD HAVE lost more weight, done more workouts, cooked more food, whatever” but does that help me at all? I’m flipping it around this time. “Oh after 22 weeks you HAVE done 53 workouts, 24 cleanse days, 22 blogs, numerous video blogs, GO YOU!” Now that’s something I can take to the bank! Non-Scale Victory: File this under #adulting, since I’ve lost so much weight, I re-applied for life insurance and was able to get a better rating! Which means, I will get lower rates for life insurance since I am considered healthier by their standards! 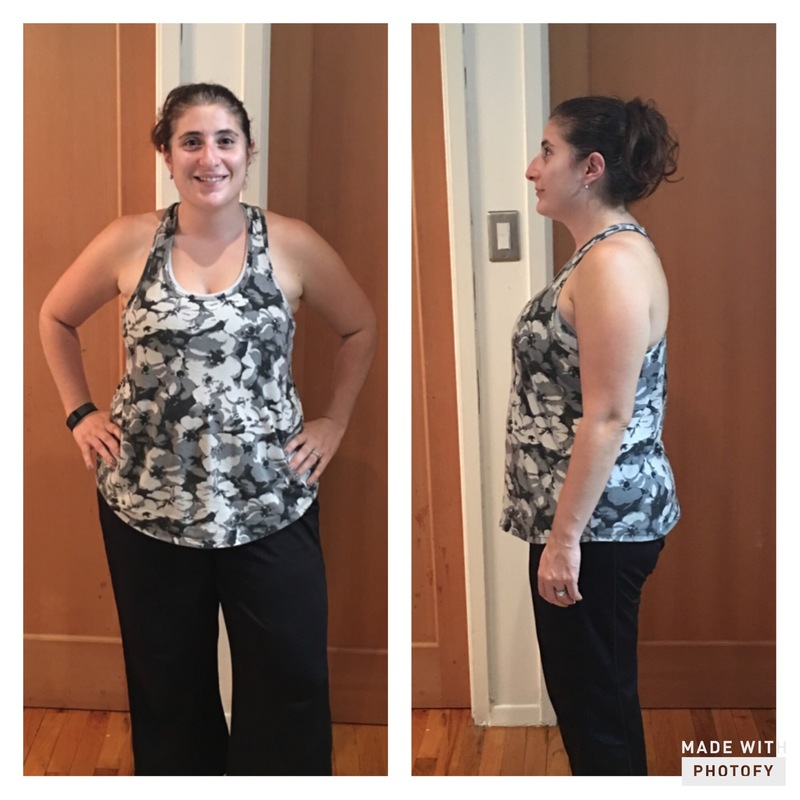 Since I applied 2 years ago I’ve lost 30lbs!! What I want to be acknowledged for this week: Cleansing on Halloween!! I didn’t touch one piece of candy you guys, this is huge for me. Normally I would skim a bunch of fun size items from my kids bucket, but this year I was able to enjoy Halloween without one piece of candy. I think I may have a new tradition on my hands! Bonus Material: Here’s a video of New Body Bootcamp doing Thriller choreography (with me and Dylan! ).